As summer approaches, I have been seeking out healthier food options. Soups are usually not the standard go-to for fit individuals. However, all soups aren’t created equal. 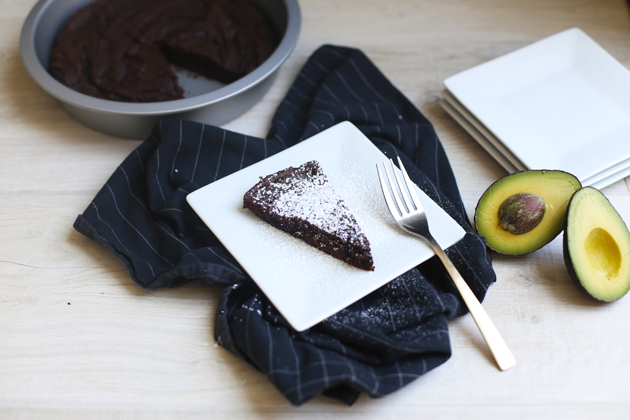 They don’t have to be filled with salt and cream; they can be healthy! Meet my Chipotle Curry Sweet Potato Bisque. 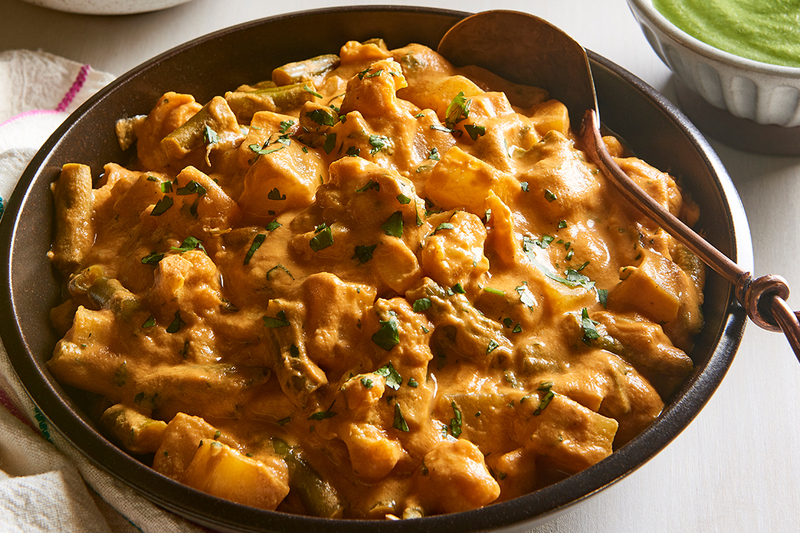 It’s a little bit spicy, a little bit sweet, and a lot bit creamy. Can you ask for anything more? I used a coconut milk base for this soup to create a creamy texture that is both vegan and reduced fat. Start by adding the coconut milk and broth to the KitchenAid® Pro Line® Series Blender. Make sure to use a can of coconut milk instead of the coconut milk beverage. For a thinner soup, use a higher vegetable broth to coconut milk ratio. Add the sweet potatoes to the blender. Note that I didn’t boil, steam, roast, or sauté the sweet potato prior to adding to the Blender. The Pro Line® Blender cuts down on all the prep work. Throw in the onion, garlic, red curry paste, chipotle pepper, adobo sauce (optional), and salt. Feel free to eliminate either the chipotle or curry if you aren’t a fan of one of those spices. 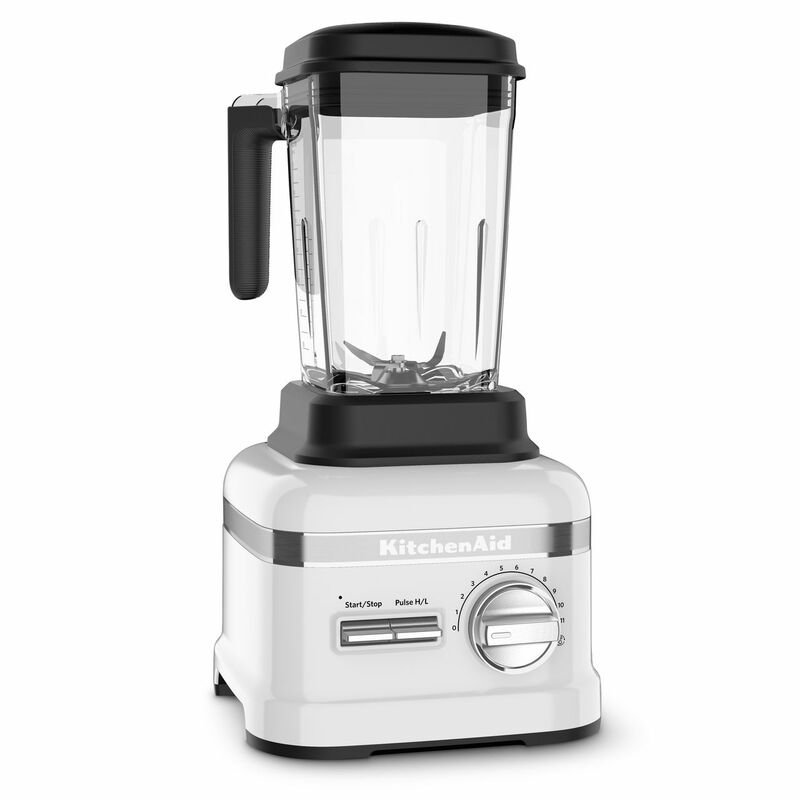 The final step is to turn the KitchenAid® Pro Line® Series Blender to the Soup Adapti-blend™ program and hit start. and hit start. And that’s it. The upgraded model of this Pro Line® Series Blender has a Dual-Wall Thermal Control Jar that quickly heats blended ingredients in as little as four minutes, stays cool to the touch, and retains the temperature for hot soups and sauces. All you have to do is put in the ingredients, and the Blender will heat and blend the soup in under four minutes. Amazing. 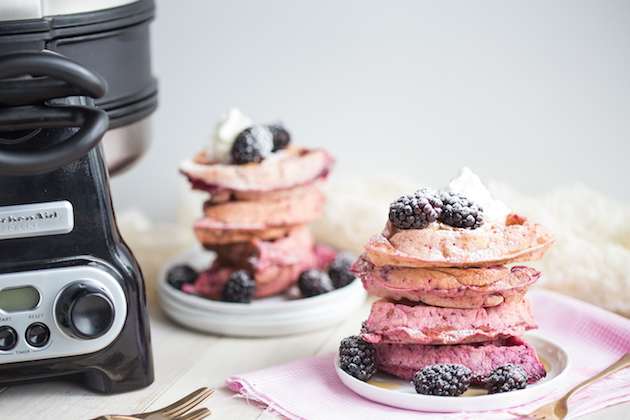 I seriously cannot get over this new Pro Line® Series Blender. It makes life so easy. The soup came out so smooth and creamy, with no tiny lumps. I have a baby at home, and this Blender is perfect for making baby food too. What other uses can you think of for this blender? What other soup combos might you make? Be sure to share your take on this Vegan Chipotle Curry Sweet Potato Bisque recipe with us on Instagram using #MadeWithKitchenAid for a chance to be featured. Start by adding your coconut milk and vegetable broth to your KitchenAid® Pro Line® Series Blender. Then add in the rest of your ingredients: sweet potatoes, onion, garlic, red curry paste, chipotle pepper, adobo sauce and salt. Turn the Pro Line® Series Blender to the soup setting, and hit start. 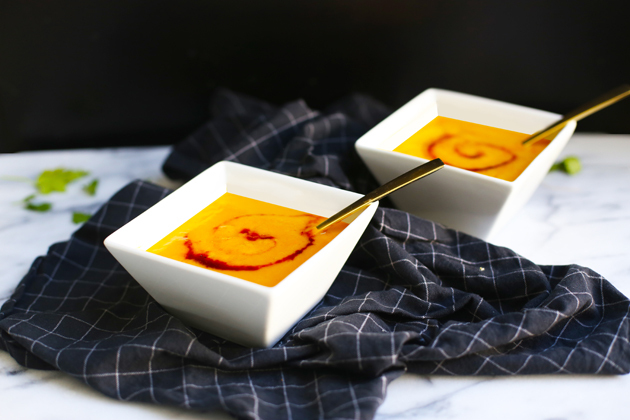 To serve, pour the soup into individual bowls and garnish with a swirl of adobo sauce.